Crispy, sweet, salty, crunchy and not even remotely healthy: Nothing says “Outback Steakhouse” like the Bloomin’ Onion. Outback’s signature appetizer is a large onion carved to resemble a flower, battered and deep-fried. It hardly matters that this particular dish is not Australian in any way. 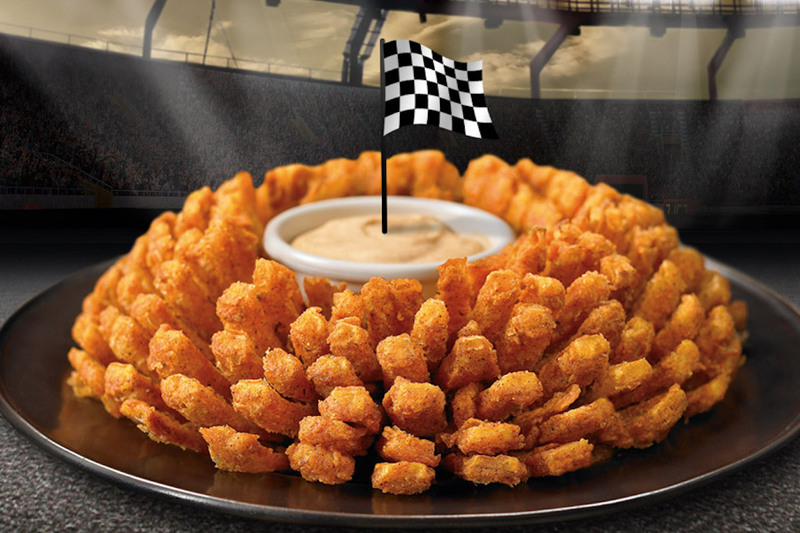 Now you can get a Bloomin’ Onion for free when NASCAR driver Kevin Harvick does well in a race. Whenever Harvick finishes in the top 10 in any 2017 NASCAR race, you get a free Bloomin’ Onion at any Outback on the Monday following the race. If Harvick does well, you won’t have to wait long to indulge in your free fried onion. NASCAR holds most races on Sundays and a few on Saturdays. This NASCAR season runs through Nov. 19, so you could still have a few chances to take advantage of the deal. Here’s the schedule. Harvick, who is Outback’s sponsored NASCAR driver, is a good bet for any given race. Out of 607 races over his 17-year career, he has 304 top 10 finishes as of Oct. 29. If you’re not up for personally keeping track of Harvick’s exploits, you can sign up here to get an email from Outback whenever “Bloomin’ Monday” is in effect. Mike Brassfield ([email protected]) is a senior writer at The Penny Hoarder. When it comes to Outback’s “Aussie-tizers,” he’s more of a coconut shrimp kind of guy.